Intimidation, name calling, bullying or other kinds of acting out behavior are about your child and his inability to solve his problems appropriately. Understand that patterns are particular to each person, situation and child. For example, some parents have trouble dealing with anger themselves. They jump right in, as soon as they hear or see a problem, and get in the kid’s face. This only escalates the situation because if you respond aggressively, it teaches your child that aggression is how you solve problems. As a result, the child may not learn to behave any differently: he’ll also lose his temper and be aggressive. In contrast, some parents are more passive—but their child may become aggressive due to his parent backing down and not dealing with issues directly. Let me be clear: you can be a gentle, quiet person and an effective parent—the two aren’t mutually exclusive—but you still need to be firm and set clear limits. If you’re a parent who’s caught in an ineffective pattern of responding to your child, realize that change doesn’t happen overnight—it takes time. How you respond doesn’t classify you as a “good” or “bad” parent—but it might mean that you’re part of the problem, and thus can be part of the solution. If your child is aggressive and acting out, it’s not your fault, but you do need to teach him how to do things differently. Your child may have a label, like ADHD, Oppositional Defiant Disorder, or Bipolar. But regardless of what your child is dishing out or what kind of label they have, you can still learn to be more effective. Aggressive behaviors need to change—and despite the labels, parents need to change, too. As my husband James Lehman would say, “Parents need to be empowered in order to be successful.” I truly believe that at any time in our lives, we are all capable of change. That’s true for parents and it’s true for kids. It may feel daunting because of the demands that are placed on you every day, but if you don’t respond to your kid’s aggressive behavior, things will only get worse. The way you handle aggression with your child may change from age to age, stage to stage. Here are some tips to help you at various stages of your child’s life. 1. Be Consistent: For younger kids, the key is to be consistent. You can’t ignore behaviors one day and respond by screaming at your child the next. No matter where you are or what you’re doing, try to be consistent. If your child has a problem with hitting his siblings, respond with something like, “Hitting is not OK. You need to spend some time by yourself and calm down.” Do your best to make sure you respond the same way every time. 2. Remove your child from the situation: Sometimes you need to take your child out of a situation to help him regain control of his emotions. If you’re at the grocery store and your toddler is having a tantrum and kicking at the shopping cart because you’re not buying the cereal he likes, you can say, “You’re making too much noise. We’re not going to buy this cereal, and if you don’t stop we’ll have to leave.” If your child doesn’t stop, follow through and take him out of the store. 4. Give time outs: Give younger children a timeout or a time away in a quiet place with some time alone. You can say, “I want you to be quiet and calm down. You cannot hit your brother when you’re mad. When you’re quiet for two minutes, you can come back and play with your brother.” Do very little talking and be very clear with your directions. 5. Coordinate with other caregivers: It’s important to remember that misbehaviors, like fighting and physical aggression, occur in daycare and pre-school as well. It’s part of the way kids learn to get along with each other, but you need to deal with it immediately if your child is aggressive. You also need to coordinate your intervention with the caregiver so that you’re both consistent. Check in with the caregiver regularly to make sure that the behavior is improving. If you have a child in elementary school and aggressive behavior is happening on a regular basis, you need to have regular communication, probably daily, with the school to monitor this behavior. Find out what the consequences are at school—and make sure that there are consequences for misbehavior at school. You may want to encourage your child’s teacher to be consistent with the behavioral expectations and the consequences for aggressive behavior. Misbehaviors like chewing gum or running in the hall should be handled by the school—it’s their job to manage routine behavior, and you as a parent don’t need to give an extra consequence at home for that. But behaviors that are physically aggressive or verbally abusive are about your child and his inability to solve his problems appropriately. This behavior should be followed up at home with a discussion and a possible consequence. 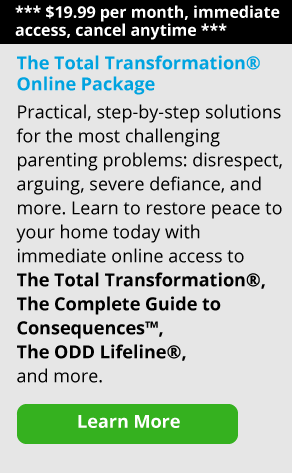 The reason you have to challenge the more disruptive behaviors at home is because home is the place where you have the time to teach your child about alternatives. If it’s the first time something has happened, help him figure out where his coping skills broke down by having a problem-solving conversation, and then work with him on coming up with some appropriate ones. Ask him, “What will you do differently next time?” On the other hand, if the misbehavior has happened before, not only should you talk about where his skills broke down, there should also be a consequence to keep him accountable. That consequence could include any task that you think would be helpful to his learning about the situation for the amount of time it takes him to complete it. So grounding him for six hours is not helpful, but having him write ten things he could do differently next time is helpful. By the way, if these aggressive behaviors are only happening at school and not in other areas of your child’s life, it’s important to find out what’s happening. This is a little tricky because you don’t want to take the side of your child against the school—that’s not going to be helpful. But if your child who’s not aggressive in other situations is acting out at school, you need to find out why. Hear what your child may be saying about his classmates or the other kids. Talk to the teacher while still holding your child accountable for any kind of aggressive behavior. Certainly, if you see the same behaviors at home, have a consistent consequence and let the school know what it is. When your child is aggresssive or abuses anyone in your family, remind him of the rule. Say, “You’re not allowed to abuse people. Go to your room.” Be prepared for him to blame the victim, because that’s what abusive people do; it’s an easy way out. Abusive people say, “I wouldn’t have abused you but you…” and fill in the blank. So your child might say, “I’m sorry I hit you, but you yelled at me.” What they’re really saying is, “I’m sorry I hit you, but it was your fault.” And if you listen to the apologies of many of these abusive kids, that’s what you get. “I’m sorry, but you wouldn’t give me a cookie.” “I’m sorry I called her a name but she wouldn’t let me play the video game.” What they’re constantly saying is, “I’m sorry, but it’s your fault,” and it absolutely does not mean they’re sorry. It means, “I’m sorry, but it’s not my responsibility.” And when a child doesn’t take responsibility for a certain behavior, they see no reason to change it. They’ve just learned to mimic the words. It becomes another false social construct that comes out of their mouths without any meaning or understanding behind it whatsoever—and if you buy into it, you’re allowing that child to continue his abusive behavior and power thrusting. When children use aggressive or abusive behavior to solve their problems, it’s important that they learn a way to replace that behavior with healthier problem-solving skills. It’s just not enough to point out—and give consequences for—that behavior. It’s also important to help your child replace their inappropriate behavior with something that will help him solve the problem at hand without getting into trouble or hurting others. Here’s the bottom line: if we don’t help kids replace their inappropriate behavior with something healthier, they’re going to fall back on the inappropriate behavior every time. That’s their default program. I think the focus should be on how the aggressive child should avoid getting into trouble and being given consequences, rather than on how they should not hurt their brother. Abusive people don’t care about their victims. I don’t think we should be appealing to their sense of empathy and humanity. I think we should be appealing to their self-interest, because self-interest is a very powerful motivator. Look at it this way: if they had empathy or sympathy, they wouldn’t be doing it in the first place. I want to note that if there’s physical aggression to the point where you or other family members aren’t safe, you really need to consider calling the police for help. This doesn’t mean that you’ve failed as a parent. Rather, you’re recognizing that you need some support. I know that calling the police is not an easy decision, but it’s not the end of the world either—it’s nothing to be ashamed of. In fact, it’s sometimes a way to regain control. If you have a teen who’s been acting out aggressively his whole life, I want to stress again that even if these behaviors are ingrained, they can change—and they can change at any time. When you start changing your response to your child and become more empowered, your child will probably act out more initially. You need to stick with it. It’s scary for kids when their parents begin to take charge. Your child has been used to a certain response from you over the years. In some ways there’s a sense of loss of control on their part. So as a result, you have to be a little bit stronger. I also think it’s vital to start structuring things differently in your home so that your child knows that change is happening. It may not be anything big at first, just something that says you’re back in the driver’s seat. You might say to your child, “We need to get you to be a more responsible part of our family. So when you get home from school, I want you to do the dishes. You also need to do your homework before you can have the car. If you don’t do those two things, you can’t have the car.” So you begin to set some limits. This is also when you need to start looking for things to change. Does the dishwasher actually get emptied? Is the homework getting done? It doesn’t mean that his aggressive behavior goes away totally; we’re not looking at a complete turnaround in 24 hours. Instead, we’re looking at those small steps that indicate that you’re in charge in the home and your child is not. Kids want their parents to have a sense of control; it gives them a sense of security and safety. Changing and becoming a more effective parent can be a very long process. You need to keep sticking with it and understand that you can gain in your ability to be effective. The key is to be open to different ideas and different ways of doing things. Above all, I want to say this: don’t get discouraged. Things can change at any moment and at any time. In my practice with children and families, it was amazing to watch parents become more empowered. They developed a clear sense of who they were and how they could be more effective. And while your children are not going to thank you for becoming a more effective parent, down the road you will see them exhibiting the positive behaviors you helped them develop, which is the best reward of all.